If you’re looking for music, check out live music venues such as The Lab / HaMaabada, the well-known Yellow Submarine, or something more low-key such as the Avram Bar and Cafe at Davidka Square. There are galleries scattered all over this city, with higher percentages in the Old City, on King David Street and on nearby Shlomzion HaMalka Street. And if ceramics is more your thing, Jerusalem boasts a wide array of ceramic crafts collectives. 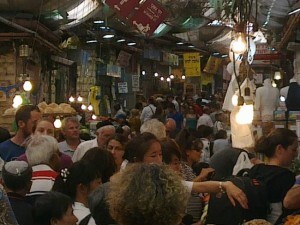 There are at least three along Yoel Moshe Salomon Street, near Zion Square, and another one in the Mahane Yehuda market. But the real cultural gems of life in Jerusalem are the various festivals on offer between April and October or so. 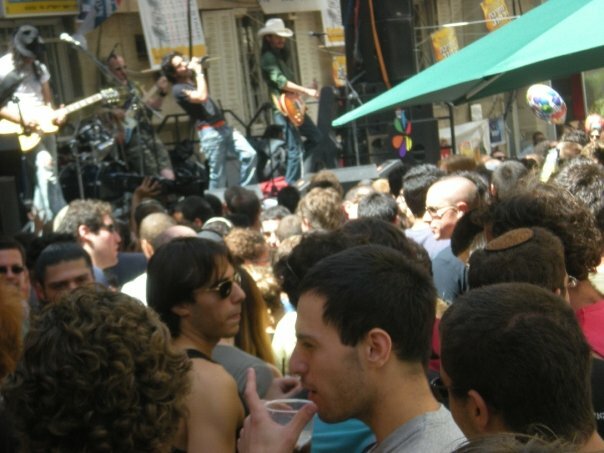 Among others, there is the Jerusalem Festival of Light (art installations using light), weekly musical street fairs on summer Fridays, a puppetry festival, opera festival, a few different culinary festivals and a whole series of other events collected under the Jerusalem Season of Culture banner. For me, the highlight of every summer here is the annual Israel Wine Festival, held at the Israel Museum. It is a bargain, a ton of fun and an opportunity to explore a side of Israel that is both historic and booming once again! So explore all of the culture that has blended together in the unique city of Jerusalem! One of the things that first strikes a visitor to Jerusalem is the seeming uniformity of its buildings. This is because of British Mandate era regulations that have never been altered, requiring the outsides of all buildings to be covered in Jerusalem limestone. But the truth is that even with that regulation in place, there is actually quite a variety of architectural styles represented in Jerusalem… all faced in Jerusalem limestone! In fact, seeing the way that various architectural styles are altered to fit into the local zoning requirements can be quite an interesting exercise. But if you really want to act like a Jerusalemite, you need to look at some of those buildings that don’t fit in to the overall style, find one that you particularly hate and complain about how ugly it is and how much you hate it. Remind people that it totally ruins the look of the city, and is completely out of place here. Suggesting that it be torn down, or perhaps that the architect and builder should be thrown in jail, should win you extra points. Some of the more common complaints are lobbed at either the Holyland complex near Malha, in the southwest of the city, or at the Bridge of Strings at the entrance to the city from the Tel Aviv-Jerusalem highway. The former is an oversized cluster of buildings that many see as an obnoxious eyesore. And the latter (which I admit is not actually a building) many people see as too modernist for this ancient city, and thus stylistically out of place. Personally, I don’t think that every building in a city should match. I think to have a building or two that stands out and is memorable is actually a nice thing in the city. I also think that the String Bridge is actually quite elegant and beautiful, and placed at the edge of the city, not smack in the middle of it. And while I do recognize the arrogance of the Holyland building, I am more offended by buildings that are simply ugly. Many of the older buildings in areas such as the German Colony, Bakaa and Katamon have been expanded with more an eye to maximizing rentable space than to creating beautiful architecture that blends in with the preexisting building. 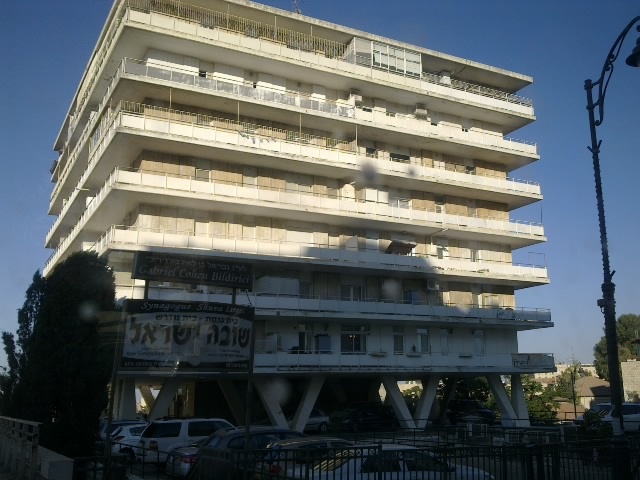 To me, though, there is no question as to which building is the ugliest in all of Jerusalem. A “paragon” of 1960s architecture, the monstrosity that rises above the Shufersal supermarket, at the corner of King George and Agron streets takes the cake. It is like a scab in the heart of the city. I will dance the day that they tear it down and replace it with something better (which shouldn’t be too difficult). By the way, I must say that while there are a few ugly buildings for you to choose from when deciding on a building to hate, there are even more buildings that are magnificent. I also highly recommend finding one or more buildings to love, but that would have made for too long of a category heading here! Whichever building in Jerusalem you choose to hate, be vocal about it — it’s the Jerusalemite way! There is a tremendous amount of history in this city, and so much of it is visible if you just keep your eyes open, or go looking for it. Two of the more significant archaeological sites are Ir David / The City of David and the excavations at the Southern Wall of the Temple Mount, known as the Davidson Center. 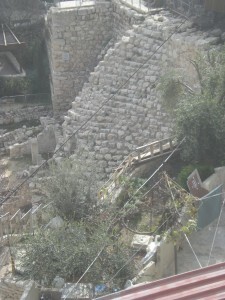 The former features archaeological remains dating from the Canaanite era through the end of First Temple Period. Newly excavated sections that have yet to be opened to the public have later finds, running through the Byzantine era. The Davidson Center is useful for exploring remains from the Second Temple Period, and running through the Muslim Period. Just walking the streets of the Old City, you can walk past remains that are 2700 years old, along the paving stones of Roman and Byzantine marketplaces, and under the arches of Crusader era shopping arcades. The routes of the streets themselves are laid out as they are because they are the main paths of the Roman city, designed in the same pattern as all Roman cities of that era. In other areas of the Old City you can come across gorgeous (albeit somewhat shabbily preserved) monumental buildings of the Mamluk era, and Ottoman era public fountains. And that’s just in and around the approximately single square kilometer of the Old City. Moving outside the walls, you can find tombs from the end of the First Temple Period or walk along one of the major north-south highways of this land for the past 5000 years or so. And as I’ve written about before, Jerusalem even has Stone Age remains and foundations of Canaanite era buildings just hanging around in its hidden corners. Jerusalem is a thriving modern metropolis, but its skeleton and living organs are those of an ancient settlement. Having been controlled and populated by so many diverse cultures over the millennia, pieces of those various cultures still adorn this incredible city like garments and jewelry. If you simply keep your eyes open as you walk the streets of Jerusalem, you can’t help but step back in time. We here in Israel like to think that we’re unique, and we are. But in the end, we are still a part of the greater Middle East and its culture. And as Monty Python noted in The Life of Brian, in the Middle East “you’ve got to haggle.” Nearly any price is just a suggested starting point, and everything is really negotiable. I heard a story about someone who wanted to make a point about this to a bunch of olim chadashim / new immigrants. So he went into the post office and actually negotiated for a better price on a single stamp! Sometimes you can get a better price and other times you’ll get the seller to throw in something else for free. But haggling is definitely a part of the culture here. Now I’m not going to say that we try to bargain for a better price anytime we buy anything here (though we probably could). More often than not, we know what the price should be and accept it. But we are very conscious of not letting ourselves get ripped off! So where can you get the true experience of haggling if you want it? Certainly in the Arab Suq (market) in the Old City, and also (though to a slightly lesser degree) in the Machane Yehuda Jewish marketplace of the New City. I won’t say this is an experience that is unique to Jerusalem, but almost nothing feels as good as bargaining to get the price of an item lowered by 50% of the originally quoted price. I love that building next to the Plaza. Stayed there for the summer of my Bar Mitzvah in 1984. Great views from the wrap around terraces. Fair enough Stu. Different strokes for different folks, as they say. But in reality, I’ve heard from many people that it is nice inside. The building was built in the 1960s, and as was the trend then, the rooms (I hear) are quite large. Another plus.